It’s difficult to imagine a more personal documentary for its director than The Most Dangerous Year. 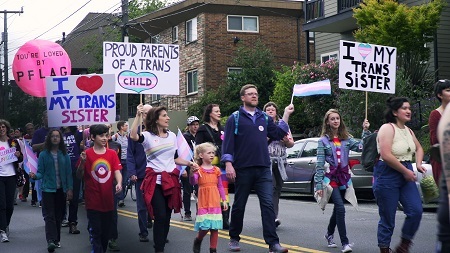 In 2016 Seattle filmmaker Vlada Knowlton set about to document the fate of various anti-transgender “Bathroom Bills,” first in the Washington State Senate (where it failed to pass by a single vote) and then later during the initiative process as proponents of the measure attempted to get enough signatures to force a State-wide public vote on the matter. They eventually failed in that quest. It was important to Knowlton to record these events in large respect due to the fact she is the parent of a transgender daughter. Going to the public hearings, recording lawmakers talking about the issue, watching attendees at a local outdoor festival sign the bathroom bill initiative, interviewing people like Joseph Backholm, the founder of the Family Policy Institute of Washington, spew venom and hate as if he was standing in a line at Starbucks ordering an iced coffee with extra foam, she willingly put herself through all of that in a quest to show people the absurdity of all it was she and her family were being forced to live with. The director was able to find the inherent hypocrisy in all of this madness simply by letting those spewing the most vitriolic lunacy speak for themselves, juxtaposing their fear-mongering and intellectual dishonesty with a mixture of scientific fact, emotional tenderness and selfless resolve that’s positively uplifting in its compassionate dexterity. 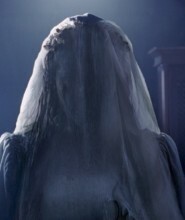 To do this Knowlton does end up having to put her own family, and specifically her daughter Annabelle, right at the center of the maelstrom. But she does so by celebrating her child’s happiness, by capturing the boundless joy she and her various friends feel from being accepted for who they proudly proclaim to be by those closest to them. 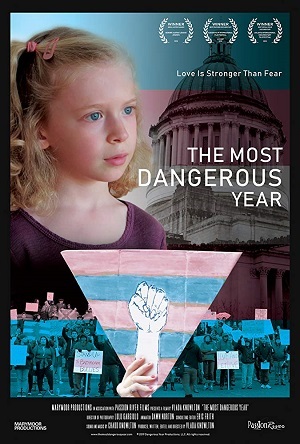 The film also introduces the viewer to Gender Diversity founder and transgender youth advocate Aidan Key, and through interviews with him and the parents of the other featured children it becomes clear just how much this love, tolerance and acceptance can change a child’s life for the better in any number of incredible ways. It is a very traditional documentary, Knowlton’s style straightforward and devoid of anything coming close to a visually experimental flourish. The film is assembled in a routine manner, each “talking heads” interview or recording of a Senatorial hearing presented as if they were a segment cut together for the local nightly news, the director not looking to add any melodramatic touch that might take the viewer’s focus away from the central story she’s attempting to showcase. Even so, Knowlton’s approach allows for the documentary to achieve an emotional resilience that’s striking. The stories of the transgender children and their parents, the many ups and down her own family faces as they ponder the repercussions of what might happen if this initiative were to achieve enough signatures to be placed on the November 2016 ballot, all of that matters in ways that grabbed ahold of my heart and refused to let go. Knowlton presents her information with succinct clarity, and anyone with even the passing pretense of an open mind will walk away from her film understanding just how insane and regressively idiotic (and downright vile) all of these anti-transgender measures ultimately prove to be. I do understand there will be those reading this review who will insist that my only reason for championing this motion picture is due to the fact that I myself am a transgender woman. That’s fine, believe that if you must, but that doesn’t change my opinion that The Most Dangerous Year is a powerfully moving piece of documentary filmmaking that cuts right to the core of a raging debate in a way that is passionate, thought-provoking and intellectually honest. In the wake of current events, it is ironically depressing that the Trump administration’s ban on transgender individuals serving in the military goes into effect the same day as this doc’s New York theatrical release, Knowlton’s feature couldn’t be more timely or essential. Open your hearts and your minds and give this one an immediate look.